Dark circles and puffiness around the eyes make you look tired, older and even unhealthy. You can work hard to flawlessly apply your makeup but if you fail to conceal that baggage under your eyes, your look will suffer for it. 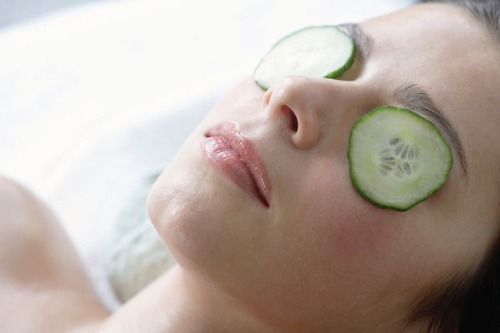 The good news is that you can get rid of dark circles and puffiness. It just takes a little work. In the end though, it will be well worth it. Because there are so many different causes of under eye circles and puffiness, it can be hard to know how to remedy the problem. There are quite a few options to choose from though. Give the following natural remedies for dark circles and puffiness a try and see what works best for you. Eat plenty of greens. Green vegetables contain lots of vitamins and nutrients that have been proven to fight off puffiness and under eye circles. Get started treating the problem as soon as you wake up by splashing your face with cold water first thing in the morning. Use an extra pillow or two when you go to bed at night to keep your head elevated. If you use eye cream, keep it refrigerated. The cool cream will help reduce puffiness. If you spend a lot of time at your computer (as I do) make sure you take time to allow your eyes to rest. Take a walk, do some housework or anything else that doesn’t involve putting strain on your eyes. This will also help reduce “computer headaches”. Avoid rubbing your eyes. Rubbing your eyes can lead to infection but also increases puffiness. Avoid using old or outdated makeup. If the makeup you’re using irritates your eyes, switch brands immediately as you might be allergic to something in the product. Always wash makeup off before bed. Cool, dampened tea bags. Do not – and I repeat, do not – use hot tea bags. Cotton balls soaked in cold water. Teaspoons that you’ve chilled in the refrigerator. Just make sure they’re not too cold. Test the temperature with your finger before putting then on your eyes. Preparation H. Rub a very small amount under your eyes but be very careful not to get any in your eyes. For some women, nothing they do seems to get rid of the dark circles under their eyes. Dark circles might be hereditary as they are with me. They may be a PMS symptom. Regardless of the reason, if treating the problem doesn’t work, you only have two options – deal or conceal. This doesn’t have to be hard and it doesn’t have to mean buying a lot of expensive products. Let’s take a look at some easy tips for concealing dark circles under your eyes. Concealer is a great friend if you have dark circles under your eyes but choosing the right concealer is important. For dark circles, you’re going to want to choose a concealer that is one shade lighter than the concealer you would usually use to conceal blemishes. This is so important and it’s also something a lot of women miss. It’s also really important to avoid all oil based concealers when you’re dealing with dark circles. 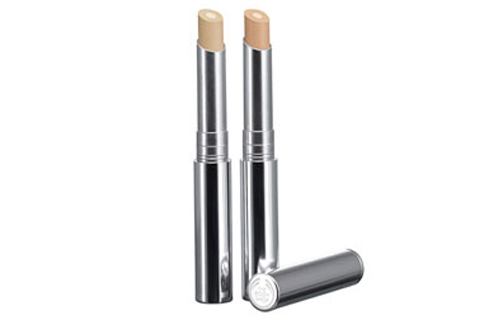 Oil based concealers will get into the lines in the circles and draw attention to them rather than hiding them. For brown or yellow tinted circles, go with a concealer that has a bit of a peachy hue. For blue or purple tinted circles, go with a concealer that has a more yellowish hue. Ask for help. 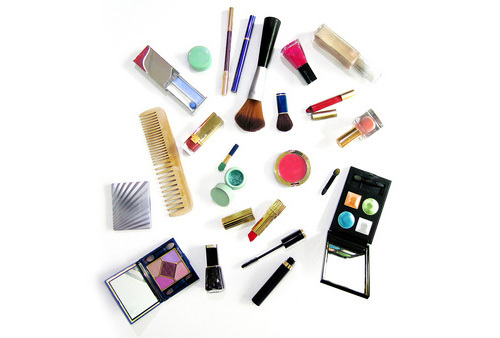 If you aren’t sure what product will work best, as someone at the cosmetics counter. You don’t have to buy the product they recommend but it will give you an idea of what you’re looking for. The skin under your eyes is extremely tender. When you apply your concealer, make sure you dab it on very gently. I would recommend using a makeup sponge or a makeup wedge but you can use your fingertip too. You’re also going to want to blend the concealer by patting the skin rather than dragging your finger or sponge across the skin. This allows maximum coverage and also ensure you’re not being too rough on this tender area. Once you have your concealer in place, you want to finish up by applying foundation and a light powder. You can choose to leave the bare concealer there but by adding foundation and powder you get even greater coverage and the additional products will help set the concealer. 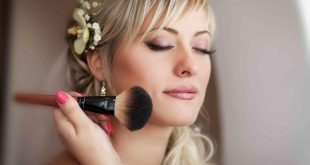 Foundation and powder also help even out your face and give your overall look a more polished look. Aside from all that, concealer may sometimes appear a bit too obvious. Foundation and powder help better blend your concealer with the rest of your face. I find its easier to figure out how to do something if its spelled out for me in a step by step guide so I decided to share my routine for concealing under eye circles with you in that format. I hope it helps. Step One: Starting at the inner corners of your eyes, dab your concealer under the eye using your finger or a makeup sponge. Make sure you focus solely on the dark areas. Step Two: Set your concealer by patting a little translucent powder under your eye with your makeup wedge. Step Three: Add a little brown shadow to the crease of your eye and blend it well. This makes your eye appear more open and brighter. Step Four: Dot your upper lid (just behind and between the lashes) with your dark brown pencil. You’re not going to be drawing a line. Instead, you want to focus on dots. Dotting eyeliner behind the lashes on your upper lid will make your eye color stand out more which will in turn draw attention away from those dark circles. Step Five: Working from the inner corner or your eye to the outer corner, line the inner rim of your eye with your brown pencil. Step Six: Use your blue eye pencil (you can use the dark brown again if you don’t have blue), add a layer of liner to the top lid, just behind the lashes. Focus most of your attention on the outer third of the upper lashes. Step Seven: Use your waterproof mascara to add two coats of mascara to just the top lashes. Be careful to use waterproof mascara as mascara smudges are only going to make those circles worse. Step Eight: Finish up your look by adding a small amount of white shadow to the inner corners of your eyelids.